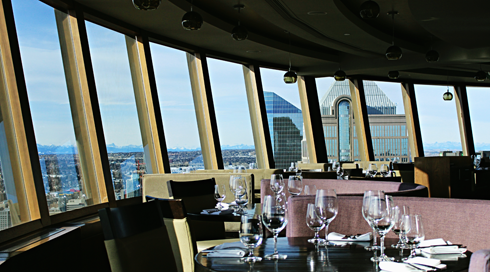 Located at the top of the Calgary Tower, Sky 360 is a revolving restaurant with some incredible views of downtown Calgary, Alberta. 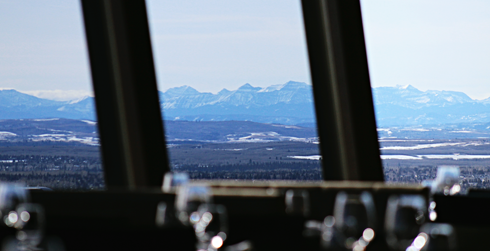 On a recent visit to the city I grabbed lunch at the Tower and was treated to clear views all the way out to the Rocky Mountains. 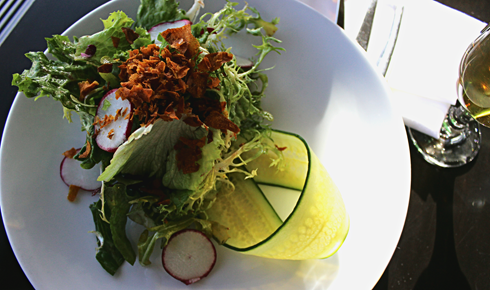 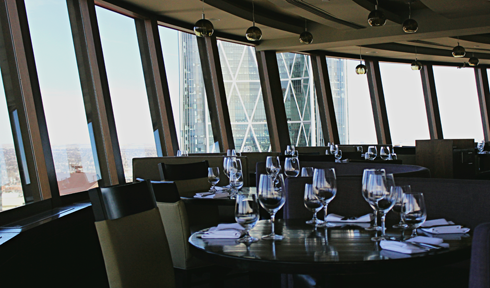 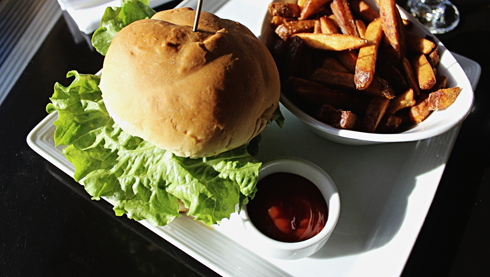 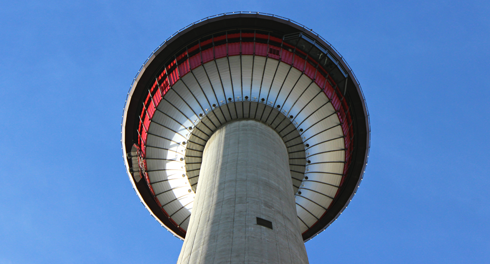 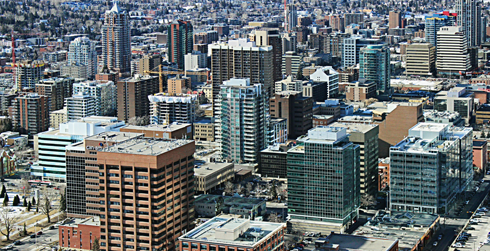 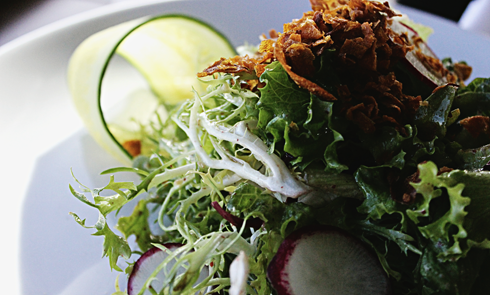 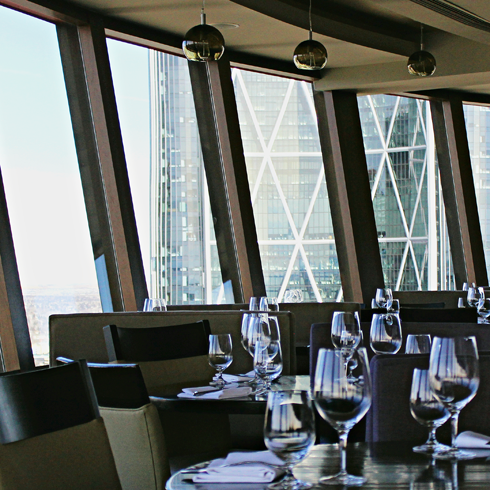 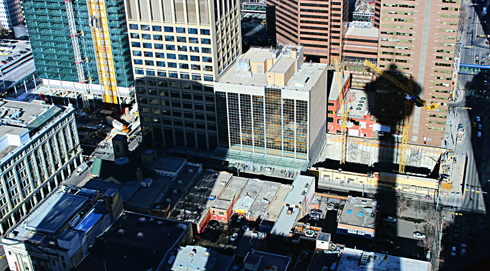 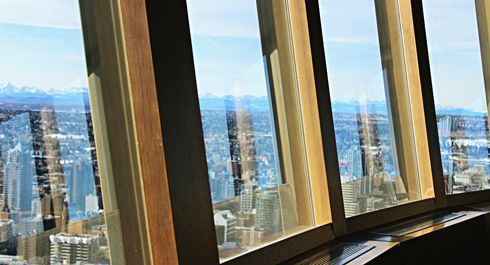 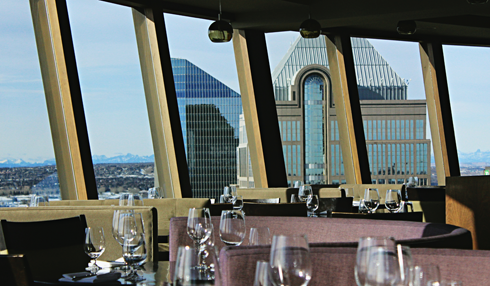 Admission to the observation deck of the Calgary Tower is included if you purchase an entree in the restaurant. 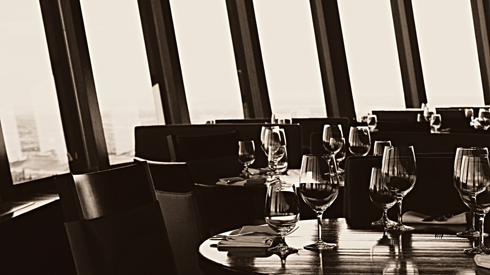 It's still a slightly pricey dining experience, however you'll be hard pressed to find a more distinct location to grab a bite. 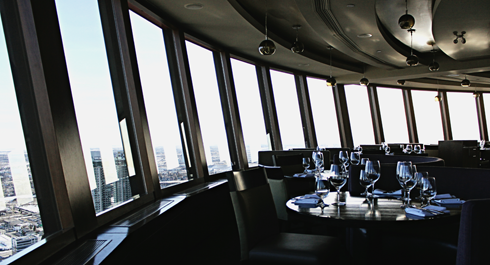 You get a full 360 view during the rotation which takes about 45 minutes during lunch or 60 minutes during dinner.